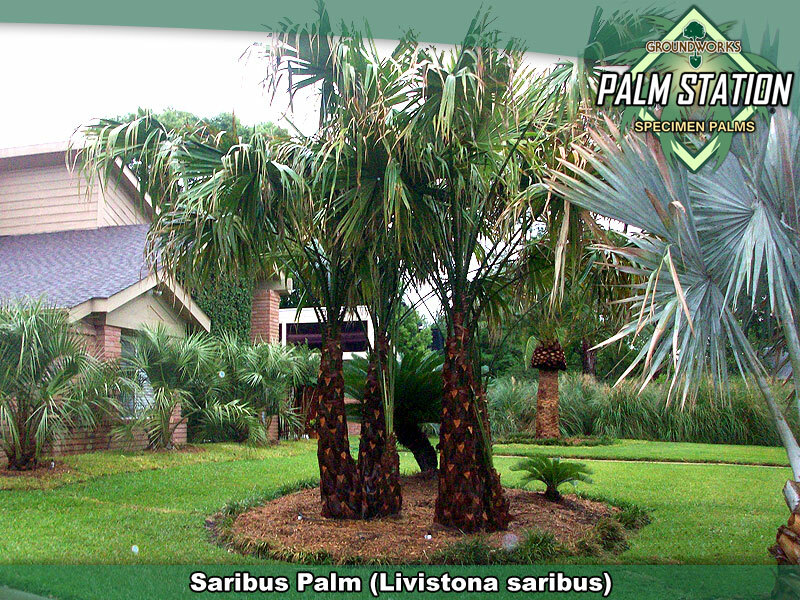 Saribus is one of the most unique and alluring of the cold hardy palms we offer. 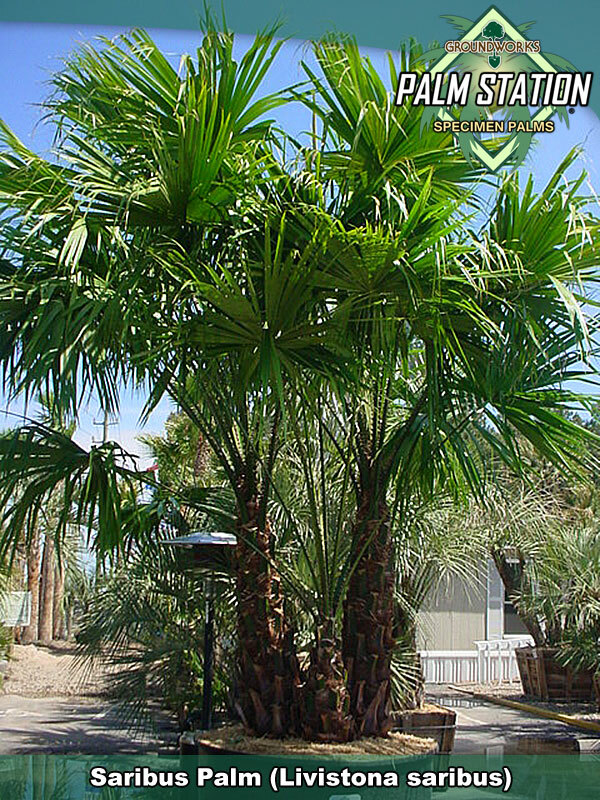 This is a totally unique multi or single stem fan palm that produces large, deep green fronds and heavy trunks. The frond stems are lined with large, black hooked thorns that give the palm an almost prehistoric look. The seed, when it matures, is deep blue in color and the total presentation of this palm is dramatic and deeply intriguing. In the landscape as a focal point, Saribus is powerful and dynamic; sure to draw attention and cause viewers to pause and stare. Originally native to the highlands of Southeast Asia, L. Saribus is fairly new to ornamental applications in the United States with many successful plantings in Southern Texas and Florida. Multi stem or single trunked Fan palm with dark petiole (leafstalks) and huge hooked spines. Full sun, but can tolerate partial sun. USDA Zone 9 to 11. Saribus is listed as being cold hardy to 25 degrees but we are aware that this species will survive colder freeze events provided the extent and duration is not too severe. Where Saribus is planted where winter temperatures fall below 25 degrees, some additional protection on the coldest nights is recommended. Has very large, deep-lime green, deeply split, nearly completely circular fan leaves that droop at the tips when older. Its most striking feature are its monstrous, sharp black teeth that line the petioles (be very careful when trimming).Near the coast, and in Southern Texas and Florida, Saribus does great in full sun. In even more tropical climates it is a fast and robust palm. A medium sized trunk that can eventually reach as tall as 50 feet. This specie is slow growing and reaching such heights would occur over a period of decades. The availability of this incredible but somewhat rare specimen palm species is limited. Groundworks stock’s this species in sizes ranging from about 4’ to 10’ of clear trunk at our nurturing facility in Alvin Texas and we also stock a few specimens at our Palm Station location in Spring Texas.